Google Translate is an important service that helps millions of users around the globe. It helps in translating a word or phrase into over 100 different languages. In this way, it not just help us in learning a new language but also helps in understanding a text written in any other language. 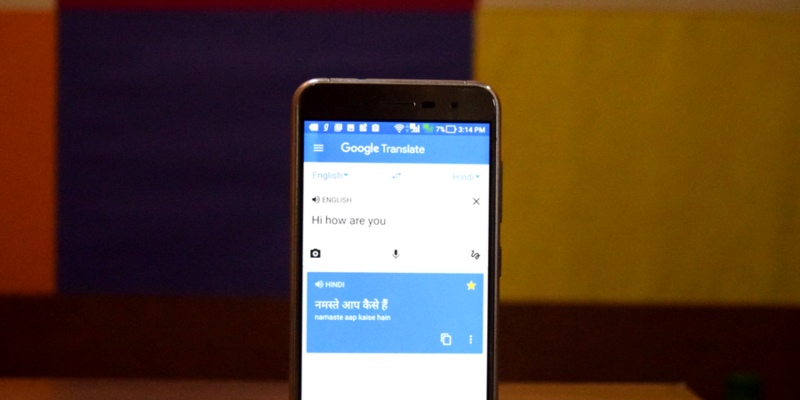 Most of us use Google Translate but there are few features you might miss. In this article, I am writing few interesting Google Translate feature you might not know. I will add features of both Google Translate website and app. These are few features of Google Translate that many people didn’t know exist. Google Translate can translate text written on an image. This option is available on Google Translate app. You just need to tap on the camera icon, select the image saved on your phone and then it will detect the text written on it. Then, you have the option to select on text to know its translation or use select all to translate the whole text written on the photo. This option is available only for few languages. It will tell you if the option is not available for selected language. For example, translation from Hindi using this method is not possible. This is another interesting feature of Google Translate app. In this, you can use the smartphone camera for live translation. Just tap on the camera icon and point the camera to any text. It becomes helpful when you are in a new city and you cannot understand what is written on the sign board. You can quickly use the smartphone camera to translate the text written on it. Alternatively, you can capture the photo and use the method 1 to do the same translation. But this method will save your time. If you cannot type but you can draw the character or word, you have “Translate by handwriting” feature. Just tap on draw icon at top left corner of the text box and start drawing. This option is available on Google Translate website. If you have a document and you want its translation, you can upload the whole document and Google will translate it. You will see the link to translate document below the big text box. This option is available on the mobile app. Tap on mic icon and speak something to translate. Do not forget to select the To and From languages for translation. Google translate can parse individual words and phrases. You an also create a phrasebook of all your past translations to access it later even when you are offline. It works both for web and apps. You just need to tap on star icon next to your translation. This is helpful when you find a translation hard to remember but you frequently need it. You can listen to translation anytime. If you are visiting any new city, you can create a phrasebook of few common lines and use it when you need to say something to any local person. Google Translate not just translates but also helps in learning how to pronounce it. it shows small speaker icon below translation. Tap on it to listen to the pronunciation of word or phrase. Most of the people just use the regular translation by typing a word or phrase. Few people now even know how to use Google Translate to translate the web pages. But many people still do not know the features mentioned in this article. I hope you find this article interesting and worth to share. Share this article with friends and let them know what they are missing. If you have any question or suggestion, you can comment below.